“CHRISTMAS PARTY” COUNTDOWN: 16 Days To Go Pasko Na! The Opera Belles spreading love along with the rest of Sony Music Family in this new version of an Eraserheads holiday classic “Christmas Party.” Check it out! For a FREE ringback, just text SH665 to 2332 (globe) Text ALLSTARS1 to 2728 (smart) Text 5484235 to 2300 (sun P5). To download the Full Music Track or MP3Tone, simply text XMASPARTY to 3456 using your Globe or Smart mobile. Sony Music artists joined forces and voices for the ultimate holiday theme of 2011. The song is a remake of the Eraserheads’ cult classic from their 1996 album “Fruitcake.” Artists who participated for this project were ITCHYWORMS, EEVEE, LETTER DAY STORY, OPERA BELLES, SHENG BELMONTE, KISS JANE, KALIGTA, SOUNDVENT, KILOS, AJKA, STEPHANIE DAN, LUKE MEJARES, MARK ALAIN and MOONSTAR 88. GIVE A RINGING CHRISTMAS GIFT TO YOUR FRIENDS! It’s the season of giving so as early as now start spreading the holiday cheer with these heartwarming Christmas ringback tones which you can give to your friends as a gift!!! Txt GIVE (your friend’s phone number) (RBT code) and send to 2332. Only P15/15 days and open to GLOBE subscribers. After his successful Christmas song “Sana Ngayong Pasko,” romantic balladeer Ariel Rivera comes up with another Christmas anthem that is sure to become the soundtrack of this Holiday season—“Narito Na Ang Pasko” composed by respected Jesuit musician priest Fr. Manoling Francisco. This album took 3 years of planning and the result is an ideal Christmas 16 track CD package especially designed by ace photographer Ronnie Salvacion and supervised by Ferdie Marquez. Produced by Noel Ferrer for Sony Music Philippines, the album also includes the classic Ariel version of “Sana Ngayong Pasko” which has been revived by esteemed artists like Sharon Cuneta, Lea Salonga, Jed Madela and many others. It is also the title and theme song of GMA’s ChristmaSerye which stars Susan Roces and Christopher de Leon and will run this December. Indeed, Ariel Rivera’s Christmas album promises to be the top pick for this year’s Christmas gifts. 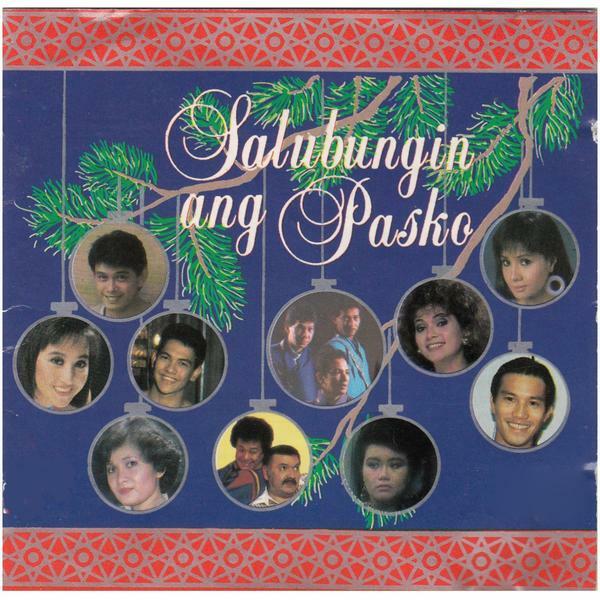 “Paskong Walang Katulad” is now available in your favorite record bars. To download Ariel Rivera’s ringback tones, truetones, full track music from the album, just text SONY to 3456.